Rabbit Room Press, 2017. Ages 7-11. In the town of Squashbuckle, just about anything can happen, and when Henry Penwhistle draws a mighty Chalk Dragon on his door, the dragon does what Henry least expects—it runs away. Now Henry’s art is out in the world for everyone to see, and it’s causing trouble for him and his schoolmates Oscar and Jade. If they don’t stop it, the entire town could be doomed! To vanquish the threat of a rampaging Chalk Dragon, Sir Henry Penwhistle, Knight of La Muncha Elementary School, is going to have to do more than just catch his art—he’s going to have to let his imagination run wild. And that takes bravery. This curriculum guide is intended to provide a teacher or parent with ideas and tools for using Henry and the Chalk Dragon to enhance writing, vocabulary, and comprehension skills while at the same time encouraging kids to use their imaginations and to be creative. Suitable for a traditional classroom, a homeschool group, or a family reading the book together, the activities and worksheets are aimed at 2nd through 4th grade students but are adaptable to other ages as needed. Where appropriate, relevant Common Core State Standards are noted. Includes discussion questions, group activities, student worksheets, completion certificate, and printable bookmarks. 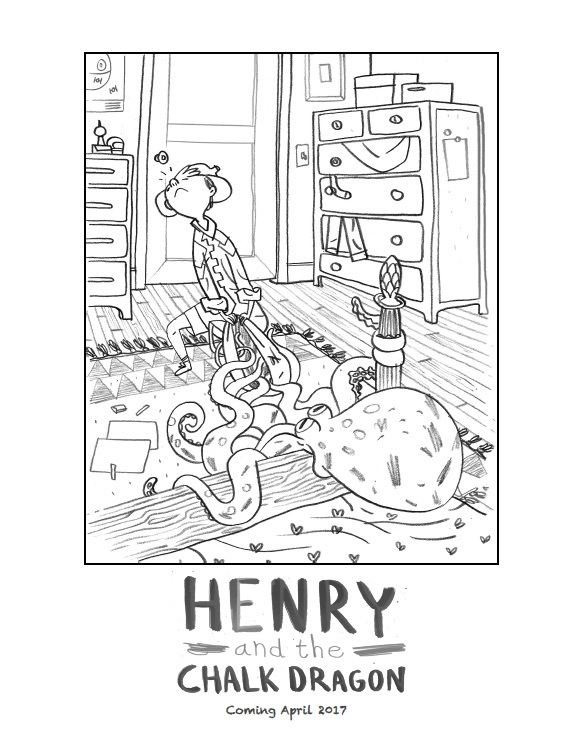 If you purchase Henry and the Chalk Dragon from the Rabbit Room Store, you receive two free downloadable coloring pages with illustrations from the book. This quotation from the book (hand-lettered by me) measures 3" x 6" and can be cut to fit an A5-size journal or printed on sticker paper. Click here to download the free PDF.